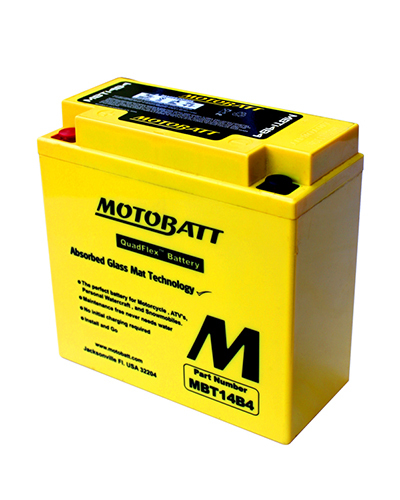 We would like to take this opportunity to introduce you the features of MotoBatt Batteries. 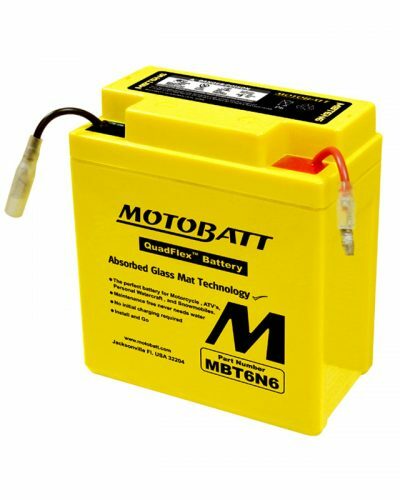 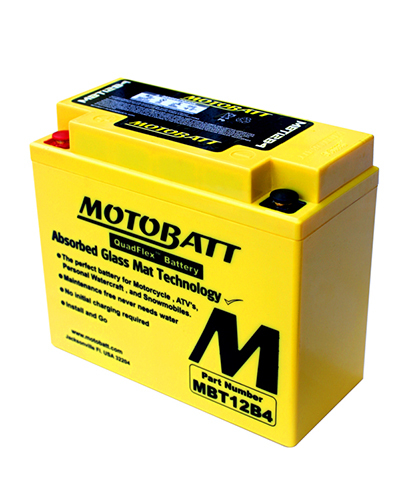 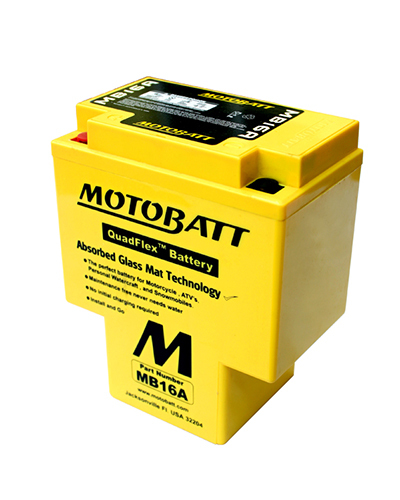 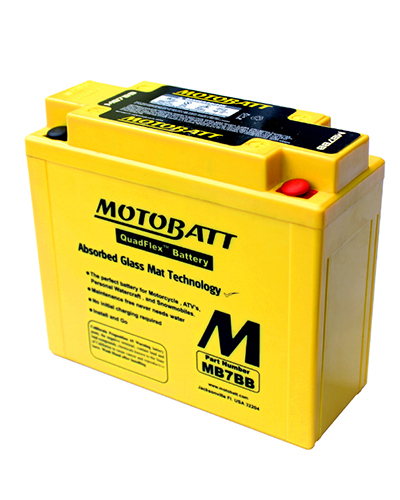 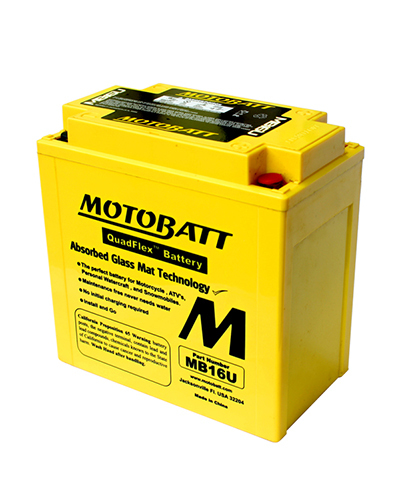 Motobatt is a sealed, premium VRLA Absorbed Glass Mat battery containing no liquid electrolyte, with no gassing, spilling, or corrosion, and no water to check. 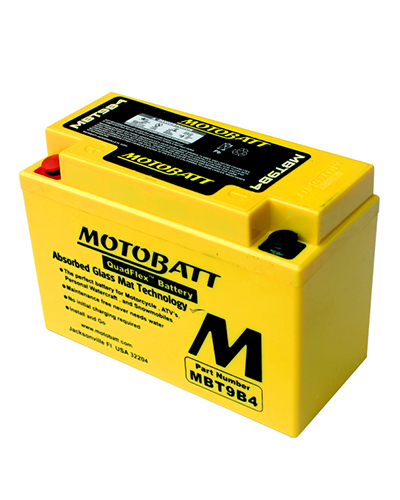 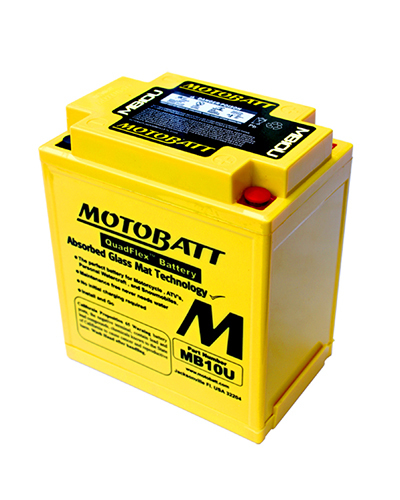 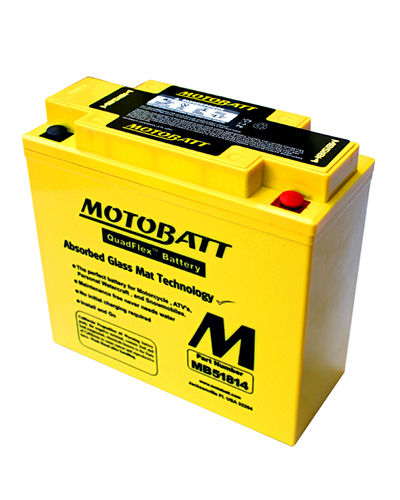 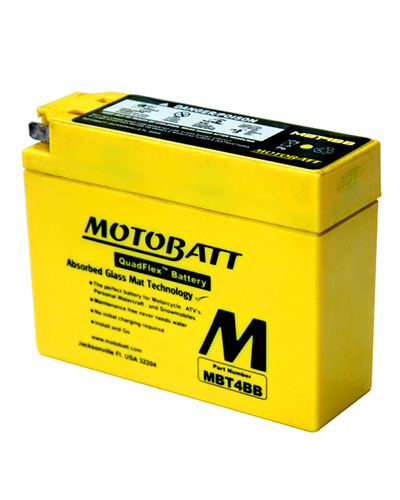 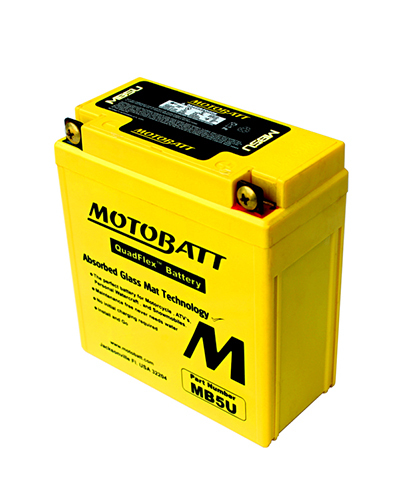 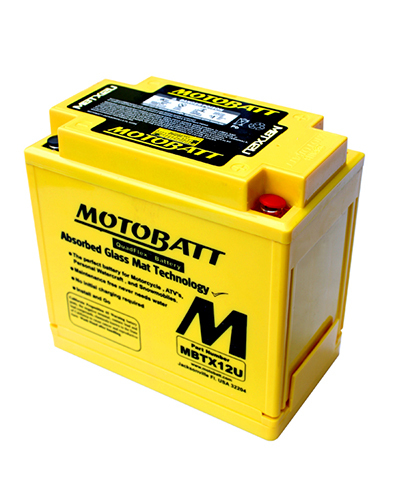 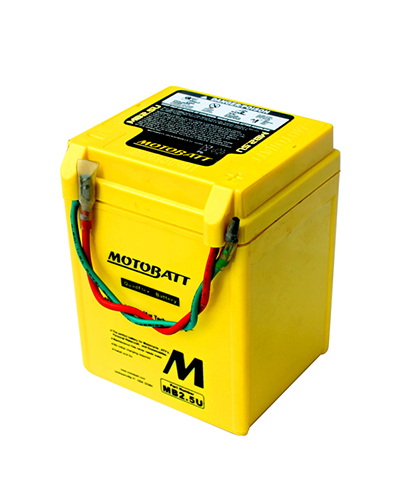 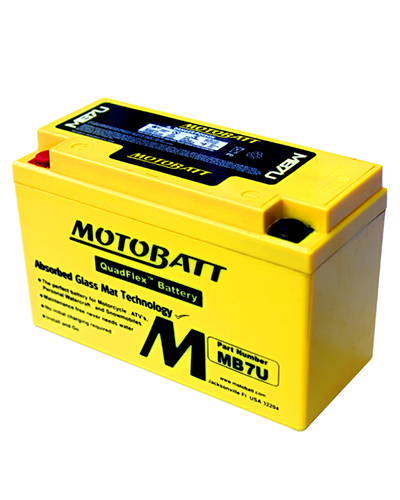 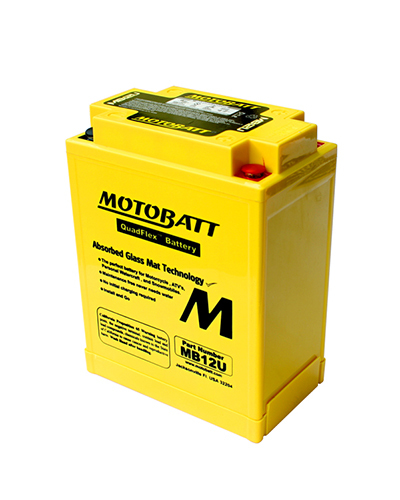 AGM has a lower self discharge compared to standard batteries, so Motobatt maintains charge longer while in your stock. 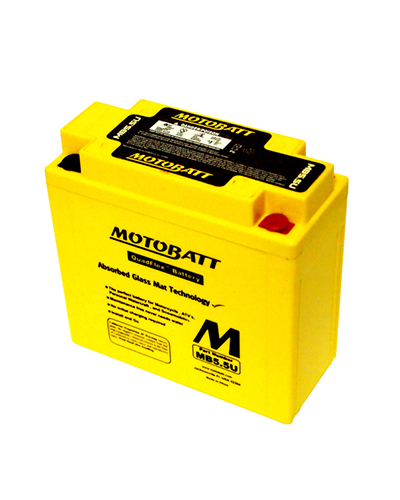 Motobatt design provides increased resistance to shock and vibration providing longer battery life. 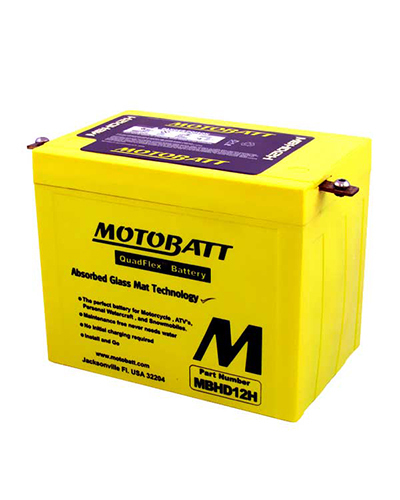 All major manufacturers are now using AGM batteries as original equipment. 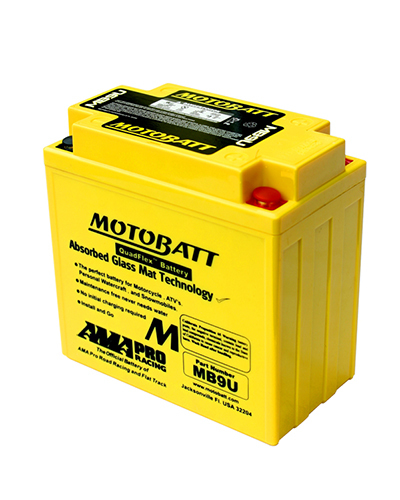 CCA(cold ranking amps for starting) and AH(ampere hour to power other items) are a trade off between size, weight and power of a battery, as increased AH requires larger plates, while increased CCA requires more plates. 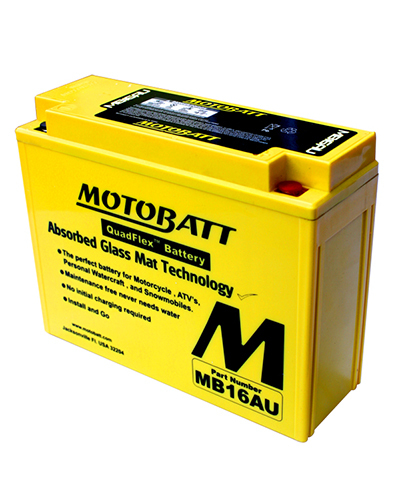 Motobatt’s patented design increases plate size/thickeness balance in the same relevant case size as a standard battery. 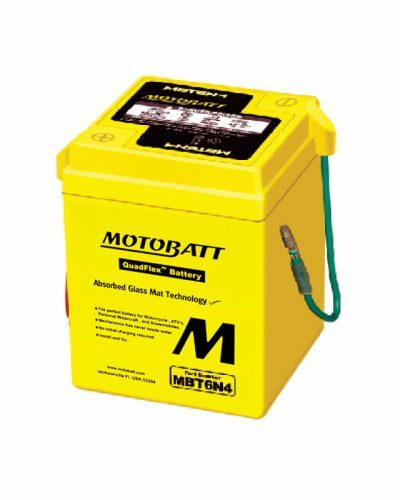 This produces the highest AH to CCA balance, with more grunt for power thirsty aftermarket accessories, while providing plenty of CCA’s in normal riding environments.